The incredible true story of Indian-born Australian Saroo Brierley and his unwavering determination to find his lost family and finally return to his first home is now realised in all its splendour on the big screen in Lion. 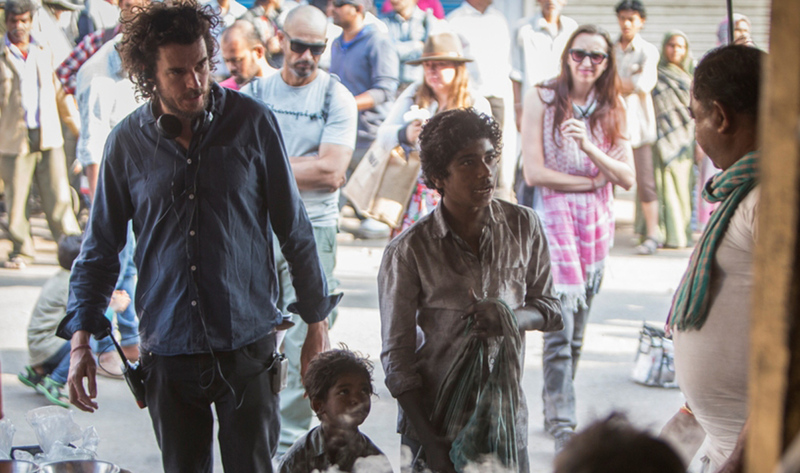 Director Garth Davis during the filming of Lion. 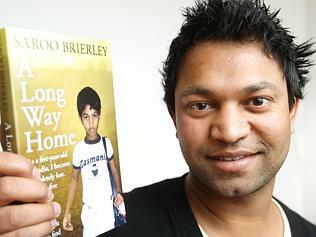 Five-year-old Saroo gets lost on a train travelling away from his home and family. Frightened and bewildered, he ends up thousands of miles away, in chaotic Kolkata. Somehow he survives living on the streets, escaping all sorts of terrors and close calls in the process, before ending up in an orphanage that is itself not exactly a safe haven. 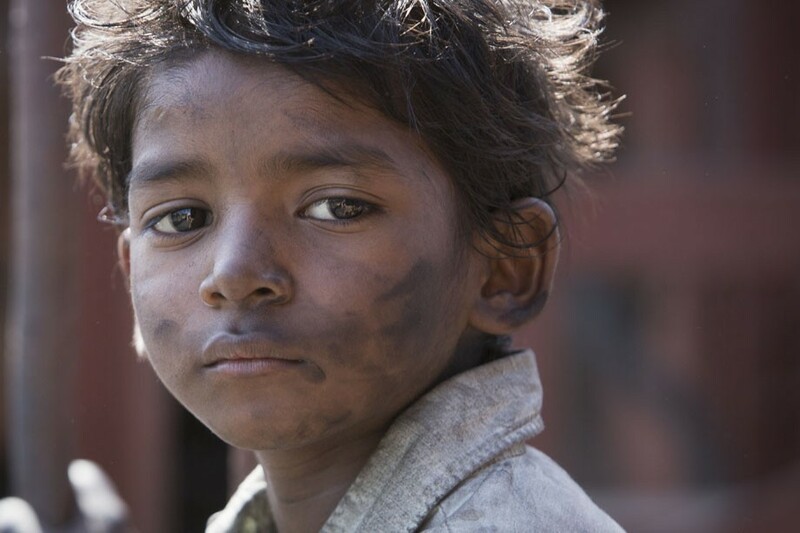 Eventually Saroo is adopted by an Australian couple, and finds love and security as he grows up in Hobart. Not wanting to hurt his adoptive parents’ feelings, he suppresses his past, his emotional need for reunification, and his hope of ever finding his lost mother and brother. But a chance meeting with some fellow Indians reawakens his buried yearning. With just a small store of memories, and the help of a new technology called Google Earth, Saroo embarks on one of the greatest needle-in-a-haystack quests of modern times. Garth Davis was the co-director of the first series of the acclaimed Top Of The Lake with Jane Campion (The Piano) for See-Saw Films and starring Elisabeth Moss, Peter Mullan, David Wenham and Holly Hunter, for which he received Emmy and BAFTA nominations. Garth is internationally renowned for some of the most memorable and awarded commercials. His recent work has won gold at the London International Award show, the prized Gold Lion at Cannes, and in 2010 he received a finalist nomination from the DGA (Directors Guild of America) for best commercials director. Originally a fine artist and designer, Garth has explored all forms of filmmaking. His dramatic work has included the festival hit documentary Pins, the Dendy Award winning short film Alice, and the highly acclaimed TV series Love My Way. The Weinstein Company acquired Lion at script stage at the 2014 Cannes Film Festival, where they closed the deal for worldwide distribution excluding Australia and New Zealand. Transmission Films is the Australian and New Zealand distributor. The film was co-financed by Screen Australia and Fulcrum Media Finance. When See-Saw Film’s Emile Sherman and Iain Canning first heard the true story of Saroo Brierley’s journey to find his childhood home and birth mother, they immediately sensed that it could make an extraordinarily powerful feature film. A bidding war was soon underway for the film rights to Saroo’s story and book which See-Saw won based on the company’s track record for quality films and the producers’ commitment to making a film that was authentic and international in ambition. “It’s one of those stories where it is virtually impossible not to move people when you talk to them about it. It’s an incredible story that gives everyone tingles up their spine. It taps into something primal in us as human beings – the need to find home and the need to know who you are,” Producer Emile Sherman says. Iain and Emile approached Garth Davis to direct the film while at the Sundance Film Festival in 2013 for the world premiere of their television series Top of the Lake, co-directed by Garth, with Jane Campion, who also co-wrote the series. Both directors were nominated for an Emmy Award for their work on Top of the Lake. Impressed by Garth’s stunning work on the series, Emile and Iain didn’t hesitate to offer him the opportunity to direct Lion. “We followed our instincts. We felt Garth – although he hadn’t yet made a feature film – was exactly the right director for the film. He’s incredibly cinematic and can create real visual scope. At the same time he’s just brilliant with actors. He creates such intimacy in his work and we wanted to make sure this felt raw and real.” Emile says. See-Saw Films has a commitment to ongoing relationships with key talent and their creative connection with Garth Davis continues with See-Saw’s Mary Magdalene, which Garth is currently in pre-production on, starring Rooney Mara (who plays Lucy in LION) and Joaquin Phoenix. Producer Angie Fielder from Aquarius Films, whose previous credits include Wish You Were Here, starring Joel Edgerton and Teresa Palmer, and filmed on location in Cambodia, was invited to join the producing team. She and Emile had been looking for a project to work on together. Before Emile had even spoken to her about the film, Angie had discovered Saroo’s story in a press article and been captivated by it. “When Emile told me he had secured the rights to Saroo’s book, it took me about two seconds to decide that I wanted to do it. And then he told me that Garth Davis was attached to direct. I had long been an admirer of Garth’s work so the idea of the film was very exciting,” Angie says. Determined to honor the truth of the story, Garth travelled to India while developing the film where he spent time in Kolkata (Calcutta) and also in Saroo’s childhood home village,. Garth was there in the village when Saroo’s birth mother Kamla and adoptive mother Sue met for the very first time. Some of the filming of LION took place in the village and Saroo’s family were welcome visitors to set on several occasions. Screenwriter Luke Davies made his own journey to India. 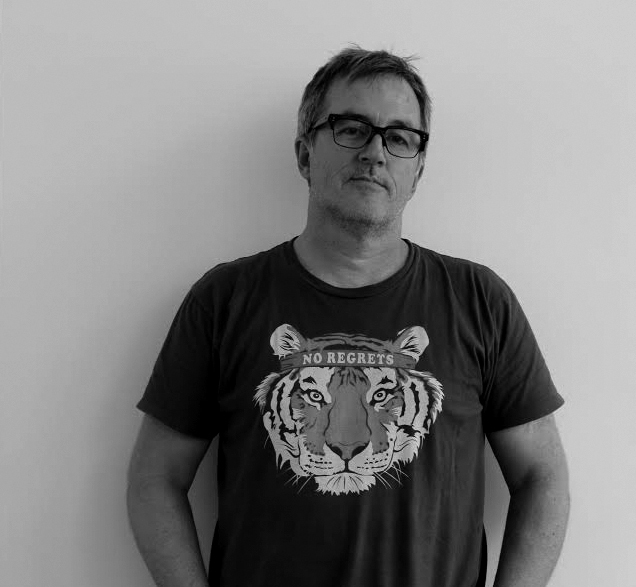 Luke Davies is the author of three novels (most recently God of Speed), four volumes of poetry (the latest, Interferon Psalms, won the inaugural Prime Minister’s Literary Award for Poetry, Australia’s largest and most prestigious literary prize) and a co-writer, with Neil Armfield, of the feature film Candy, an adaptation of his own novel. Davies’ short film Air, his first as writer/director, starring BAFTA-winning actor Andrew Garfield, premiered at the Marfa Film Festival in Texas in 2010, and also screened at the Venice International Short Film Festival, the Festival des Antipodes in St Tropez, the Bigpond Adelaide Film Festival, the Big Sur Shorts Festival and the Melbourne International Film Festival. Davies’ screenplay Life, about the friendship between James Dean and Life magazine photographer Dennis Stock, produced by Oscar-winning The King’s Speech producers See-Saw Films, was directed by Anton Corbijn and stars Robert Pattinson, Dane DeHaan, Sir Ben Kingsley and Joel Edgerton. It premiered at the Berlin Film Festival in 2015. Davies is currently writing the screenplay adaptation of the memoirs Beautiful Boy: My Journey Through My Son’s Addiction by David Sheff and Tweak: Growing Up on Methamphetamines by Nic Sheff (two books adapted as one film) for Brad Pitt’s company Plan B. The film is to be directed by Oscar-nominated director Felix von Groeningen (Broken Circle Breakdown) and produced by Oscarwinner Jeremy Kleiner (12 Years a Slave, Selma). Davies is currently writing a TV adaptation of the Joseph Heller novel Catch-22, for True Detective producers Anonymous Content and Paramount TV. Iain and Emile had previously worked with Luke on Anton Corbijn’s Life and also on the filmed adaption of Luke’s novel Candy. “Having worked with Luke on two previous films, we felt that he had the right sort of emotional sensibility to tackle this story,” Iain says. Coincidentally, Luke had read Saroo’s story online just days before Emile approached him and he too was riveted by it: “It’s such an incredibly moving story. And it’s a primal story – the loss of the mother and reunification with the mother. At that mythic level it’s amazing, but at an actual human level of ‘this really happened to this kid’. The opportunity to take a script to some very emotional places is for a writer the most exciting thing,” Luke says. Garth and Luke collaborated closely and intensely, experimenting with ideas, including the film’s structure. Would it be told in flashback or as a linear narrative? How do you honor the truth of the story but tell it in a way that is satisfying for a cinematic audience? Emile Sherman says: “The more traditional structure would have been to start with Saroo in Australia, for it to be the story of a western man who suddenly has memories of the past, and to cut back and forth as he searches for home. We battled long and hard with the structure and ultimately decided to go for a more epic one – letting the audience fully experience young Saroo’s life in India upfront. Starting with his family life, through the moment he steps onto the wrong train, onto his life on the streets of Kolkata, we are with young Saroo as his story unfolds. The enormous power of this experience is then felt throughout the Australian section, and we can then fully appreciate his emotional pull back to his birth mother. One of the great challenges of the film was to find an Indian boy to play Saroo as a five-year-old. Angie Fielder says that the Indian production team worked closely with schools and parents in several large Indian cities in their search for the right boys for the roles. They screen tested thousands of children and each child who was considered to have acting potential was filmed and the tests sent back to Australia. Garth, Angie Fielder, Australian casting director Kirsty McGregor and dramaturg Miranda Harcourt then travelled to India to work with the shortlisted children, including Sunny Pawar who was chosen to play Saroo. “I had an emotional template for this character and, through the story, I could feel the spirit of this kid. So I knew who I was looking for but it was very sobering to think about what we had to achieve. Children generally can be good actors from about the age of eight but it is difficult to find a five year old capable of acting. But I knew it was important to have a small boy – it is visually very powerful having a tiny boy lost in the world – and a boy who had the resilience and the patience to cope with the demands of the lead role in a film.” Garth says. “I just kept coming back to Sunny. I would put a camera lens on him and he just felt like the boy I had been feeling. I needed a boy who in his natural state could give me 80% of the performance, someone with a look behind his eyes, a history, a quality that’s beautiful to look at…and Sunny had that in spades. He could just sit in a room with the cameras on him and those of us watching would get lost in his story, in his face. At the same time there was something darker, something interesting going on,” Garth continues. “He was one of those special kids. So then the question was ‘can we do a scene with him? Can he take direction? Can he cry? Can he scream? Does he have strength? Can he withstand direction?’ He did all of that and more. Production began in the eastern Indian city of Kolkata (previously known as Calcutta) in January 2015. 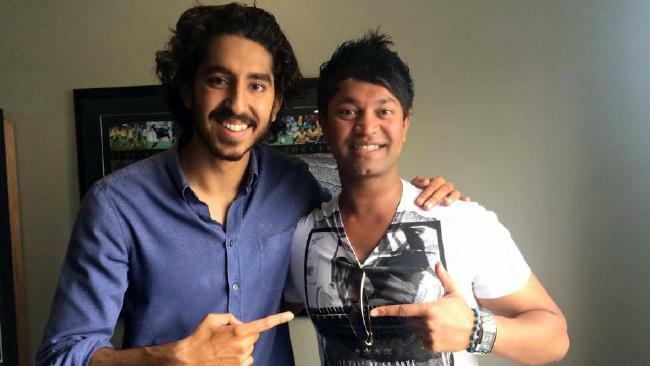 Dev Patel, who plays the adult Saroo, arrived early in the shoot to film the scenes of reunion with Saroo’s birth mother. Dev campaigned hard to win the role, convincing Garth Davis and the producers that cinema audiences had yet to see the range he was capable of. Emile Sherman says: “We knew we had to cast a Western actor of Indian heritage rather than an actor from India, to ensure the accent was correct. Saroo himself is very much an Australian man. We always had Dev in mind. He just blew us away in his screen test. He’s a wonderful actor, but he’s also so likeable, so warm and so much fun. We knew we were in the hands of an actor who’d be able to take the audience on a very emotional journey. Dev really embraced that and exceeded all of our extremely high expectations. Having heard the vital role Google Earth played in Saroo’s search for home, the company had invited him to speak at an international conference where he met the company’s Chairman, Eric Schmidt. Google assisted the producers throughout filming, ensuring authenticity of the scenes in which Saroo searches for his Indian birthplace using Google Earth. To better look like the real Saroo Brierley who is tall and strong after a lifetime in the Australian outdoors, actor Dev Patel embarked on a punishing weight and food regime, to add bulk and muscle. He also worked with a dialect coach to perfect the notoriously difficult Australian accent. Young Saroo’s close relationship with his older brother Guddu is a critical emotional thread through the film. Guddu is played by Abhishek Bharate in his first acting role. After meeting the real Sue Brierley at her home in Hobart, Tasmania, the southern island state of Australia, Garth knew he wanted Academy Award® and Golden Globe Award® winning actress Nicole Kidman to play her. “I was spending a lot of time with Sue and one day, while she was talking to me, it just dropped into my head ‘that’s Nicole Kidman’. Serendipitously, as we were going off casting around the world we had a note saying that Nicole had managed to get her hands on the script, had read it, and was very keen to talk. Rooney Mara, was recommended for the role of Lucy, who becomes Saroo’s girlfriend after they meet as students at an international hospitality college, by Executive Producer Harvey Weinstein. Weinstein personally contacted Rooney to talk to her about the film, and Rooney then went on to win the Cannes Film Festival Best Actress Award and to be nominated for an Academy Award® for Best Supporting Actress for her performance in Carol. The producers and Garth spent considerable time with Saroo and his Australian parents while preparing for the film. Saroo spoke to Garth about a butterfly coming to him throughout life whenever he was under threat, for example while facing danger on the streets of Kolkata. Saroo talks about the butterfly as being the spirit of his older brother, guiding him. “I spoke to Emile while we were at Sundance and said ‘I think the butterfly is the spiritual totem of the film, but we don’t need to let anyone know that, it can just be a texture’. We finished that conversation, went together to a private function and five minutes later a homeless Indian man walked into the room selling butterfly pins to raise money. I looked at Emile and said ‘it’s happening’. Garth talks about the ‘mapping’ of Saroo’s story for an audience: “A lot of thought went into how to get across clearly the steps Saroo needs to take to find home. What his memories are, how to represent them, what the audience knows at each point. All so that the audience can be with Saroo on his journey, discovering home with Saroo. That needed to be very carefully worked out. Over 80,000 children go missing in India each year. See-Saw Films have been exploring opportunities to work with reputable organizations to support children in India and around the world. Using the profile and publicity that will surround the release of this moving film, See-Saw hope to shine a spotlight the need for global support to assist these organizations. Audiences will be able to find out more information and an opportunity to make a donation via the film’s website, www.lionmovie.com. Saroo Brierley and his adoptive parents Sue and John continue to live in Hobart, Tasmania, where Saroo works in the family business. Saroo is a passionate supporter of the work of Mrs. Sood, who arranged his adoption to Australia and who runs orphanages in Kolkata, and he returns to India frequently to visit Mrs. Sood, his birth mother Kamla and his extended Indian family. Saroo is also a sought after motivational speaker in Australia and overseas.